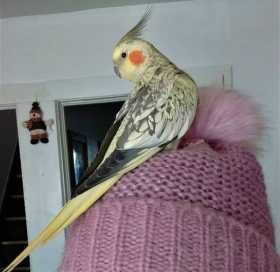 Two year old yellow and grey speckled cockatiel, with orange cheeks and grey crest feathers. Loves millet sprays. He does have a purple band on his left leg.